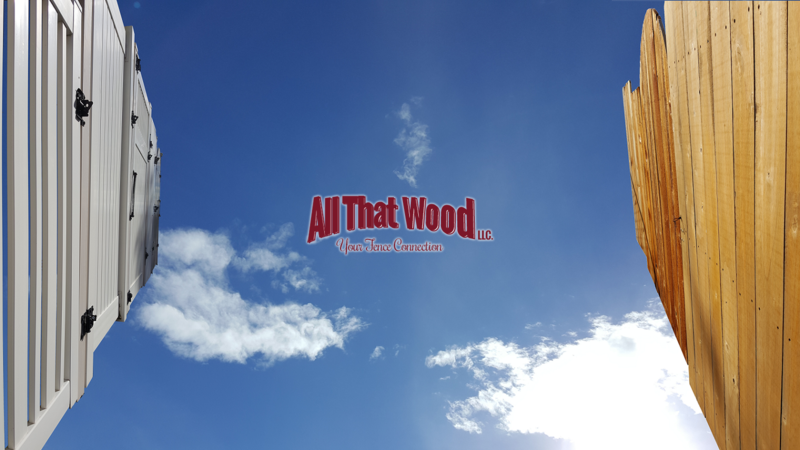 Since 1999, All That Wood, LLC has been your locally-owned and –operated, the premier source for wood and vinyl fencing in Hermiston, OR. We specialize in old growth cedar and vinyl fencing and vinyl pergolas. Additionally, we offer ranch rails, picket fencing and arbor packages, designed to meet your needs! Through trial, testing and experience we have fine-tuned the products we offer from our in-house produced steel and aluminum gates for both wood and vinyl to our specially designed hinge and latch packages. We are not a big box store. Our product is not sent from a corporate shipping yard and told to sell it no questions asked. We have used our 19 years of operation to test what wood, metal and vinyl works best and lasts longest in our desert climate. Unlike a lot of big box stores that just happen to sell fence, our knowledgeable staff can help with any questions you might have. Lumber source, wood type, wood age, wood treatment process, the vinyl extrusion process, vinyl custom application, gate weight capacity. We can help answer just about any question you may have about our products. Whether for privacy, practicality or to enhance the aesthetic of your property, making the investment in a fence is a smart idea and one that will lend sustainable value to your life. When making this investment, however, it’s important to get the best quality product for your money—and that means working with All That Wood, LLC. The premier provider of both vinyl and wood fencing in Umatilla County, OR, we’re here to make sure you’re not left compromising when it comes to your vision of the perfect fence! Our facilities are equipped with a state of the art CNC machine, for routing custom vinyl products to meet your specifications. We have decades of industry experience in the fencing industry. We offer competitive rates on all of our fencing products and materials.